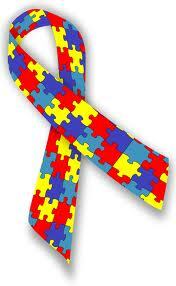 Monday News: Today is Autism Awareness Day. Locations around the world are lighting up in the color of blue to commemorate Autism Awareness Day. Autism affects 1 in 88 children in the United States alone. Diagnoses have increased about 600 percent in the past two decades, which is only partially explained by improved and increased evaluation. Autism is a spectrum of developmental disorders linked to abnormal biology and chemistry in the brain. It affects families of all ethnic, socioeconomic and educational backgrounds. Children with Autism tend to have problems with social interaction and repetitive tasks. While research is very active, no cure has been found. Microsoft , Barnes and Noble, Google, Twitter and The Social Express are among those in the tech sector offering resources and opportunities for customers to join the Autism Awareness Campaign. Dreary Tuesday – Spring Break Day Two. My background is an OT in sensory integration working with autisim. These kiddos are near and dear to my heart!! They are special people! You guys are too!